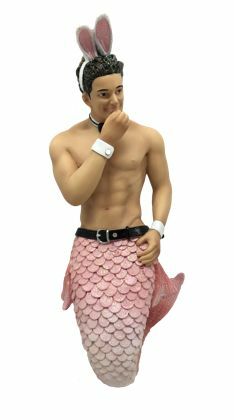 Merman Ornament Cottontail. Wearing his rabbit ears. Approx 7" h. Hand painted resin ornament.